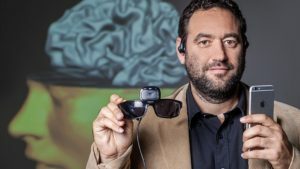 In Prof. Amir Amedi’s world-renowned Lab for Brain and Multisensory Research at the Hebrew University of Jerusalem, people with vision impairment can “see” their environment with the aid of sensory substitution devices (SSDs) that provide visual information from sound and touch. Now, two of the lab’s groundbreaking inventions are being readied for the mass market in Brainnovations, Israel Brain Technologies’ four-month accelerator program. EyeCane, a flashlight-like orientation device, emits infrared rays to translate distance into auditory and tactile cues enabling the user to sense objects within an adjustable range of up to five meters. After brief training, EyeCane users can estimate distances, avoid obstacles and successfully navigate in simple environments. EyeMusic is an app and mini camera system that conveys colors, shapes and location of objects by converting images into “soundscapes” for the brain to interpret visually. Blind individuals can be trained to recognize the letters of the alphabet, “see” pictures of animals, and even find an object or person in a complex visual landscape. A version of the app is available free on the Apple App Store and Google Play. Commercializing and eventually combining EyeCane and EyeMusic could give unprecedented self-navigation capabilities to blind people, says Daphna Rosenbaum, CEO of RenewSenses, a pre-startup based on Amedi’s research in the medical neurobiology department of the university’s Institute for Medical Research Israel-Canada. 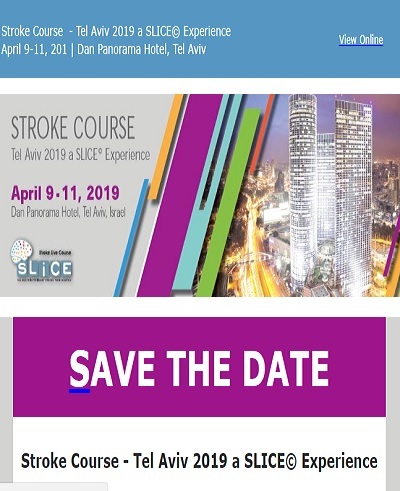 Amir and his team have exhibited the EyeCane prototype at global conferences and exhibitions, and testers in Israel have given enthusiastic testimonials, she says. Amedi received a European Research Council grant to develop the SSDs, whose patents are owned by Yissum, the technology transfer arm of the Hebrew University. Yissum has spun out 110 companies including superstars such as Mobileye, BriefCam, OrCam and Betalin Therapeutics. Yaacov Michlin, CEO of Yissum, says the Amedi lab’s “amazing” research challenges the conventional notion that the brain is divided into distinct sensory regions. “They demonstrate that people have the ability to take information from one sense and present it in another, thus enabling blind people to ‘see’ by using other senses such as touching or hearing,” he said. With the encouragement of Yissum, RenewSenses entered Brainnovations in May to build a business model and get the products to people who are waiting for them, Rosenbaum says. The initial version of EyeCane could be available within three or four months of raising production funds. Rosenbaum says that EyeCane and EyeMusic are based on different scientific insights than are potentially similar technologies under development elsewhere. Using infrared rather than ultrasonic rays gives EyeCane has superior accuracy, and it is expected to be more affordable than competitive devices. EyeMusic is the only system of its kind that can effectively convey color and brightness information. “We plan to combine the two products and when we do, we will have no competitors,” she says. RenewSenses currently has a fulltime R&D manager and Rosenbaum hopes to add a production manager and sales/marketing manager when it gets funded. All of the current eight Brainnovations startups will present at a pitch day on September 18 at Google Tel Aviv, where the accelerator is housed. The other seven are BioEye (developing a diagnostic device for cognitive decline using the front camera of mobile phones), Pauzzitive Life (developing a mobile application for treating lifestyle addictions), TailorMed (using machine learning to improve quality and speed of medical image diagnostics), InnoSphere (developing a brain-stimulating device to treat ADHD), MyDopa (using machine learning to adjust the medication dosage of Parkinson patients), Sentidio (developing software to improve the social skills of autistic children) and Re:Mind (developing an at-home diagnostic helmet to detect an early-stage stroke).